This is my newest snake, Hermia. I got her at a reptile show when she was a month old. She is a cinnamon normal BP. all ball pythons, or other kinds? 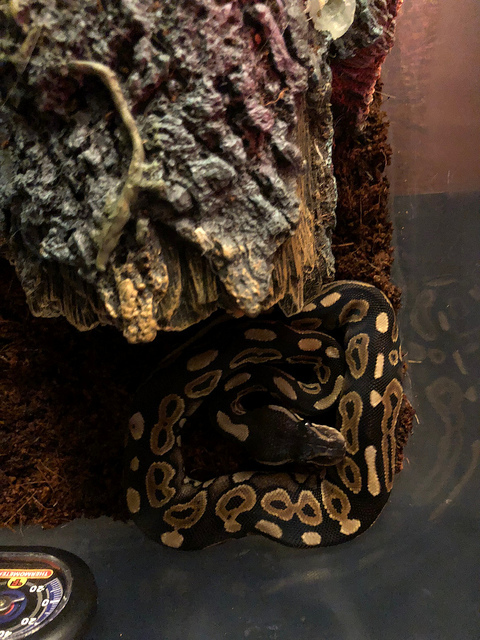 I joined after I got my first snake, Leonidas (in a different picture thread), to learn how to set up an enclosure, basic husbandry, etc. Only two snakes so far; both ball pythons.